Salt Lake City has been dealing with the problem of homelessness for years, but the Salt Lake City Police Department said in August that they were starting a new program named “Operation Rio Grande”. This program was supposed to crack down on drug trade and crime in the Rio Grande and Clark Planetarium area. And indeed it did; within the first week, the Police Department arrested approximately 300 people, with only one instance of force used. This left hundreds of people fleeing to neighboring areas. But as of December, there have been almost 1600 arrests, and it appears that they aren’t only arresting the “worst of the worst”. The police have arrested many homeless people for minor drug charges, and thrown away their belongings claiming that it is trash. Utah previously was thought by many people to have a progressive housing and treatment first policy, but now with Operation Rio Grande, experts are saying that the City has lost its good reputation. The City cannot just criminalize homelessness and expect the problem to go away. While there are fewer drugs on the street, there are also fewer people. The people of Salt Lake are wondering where everyone has gone, and people from nearby neighborhoods are reporting lots of people coming from the Rio Grande area. The City should dedicate more money to helping families in need and providing shelter, rather than just arresting drug addicts and locking them away. Salt Lakes agenda has been equated to a “law and order” stance, instead of the previous focus on relief and aid. While the police were cracking down on crime over the past few months, a Medicaid expansions were provided by the federal government to provide health coverage for 4000-6000 childless adults. This is what Salt Lake really needs. These people don’t have anywhere to go, and many of them have nowhere to look for help. If we can provide these people with access to healthcare and a temporary place to stay, they can get back on their feet and be on their way to be integrated into society. If the city only cracks down with the police force, that can mean parents being arrested, and children being left alone with nobody to turn to for safety or guidance. 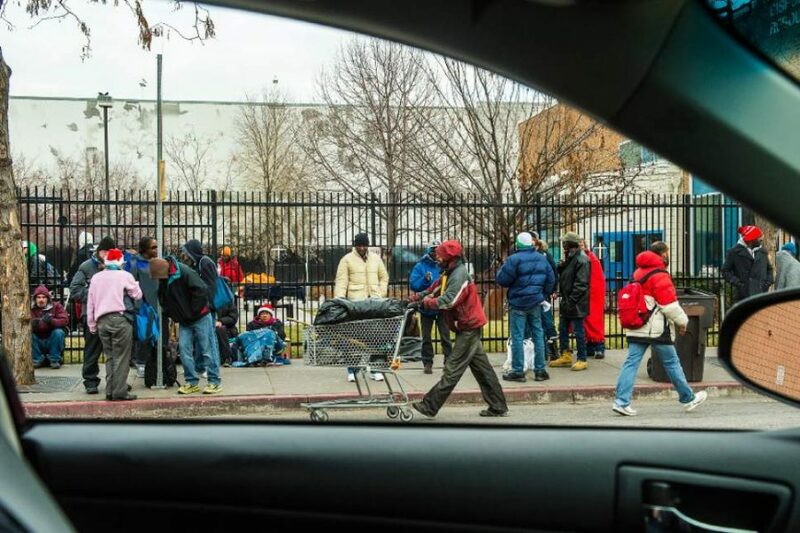 This expansion has been long overdue, Utah politicians have long been reluctant in funding programs to aid the homeless, rehabilitate drug users, and use an approach that caters to the people suffering on our streets. It is time for Utah to really provide a program that works for everyone in the valley, to show the rest of the U.S. that homelessness can be dealt with by providing rehab, shelter and job opportunities for people struggling to get their lives back together.